Here's a little something for all the working men and women. Beef plate ribs & a 5 lb brisket flat. 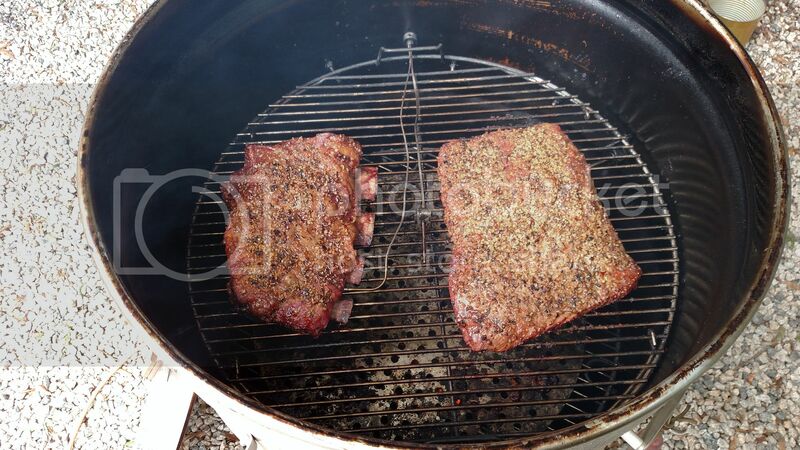 Rubbed both with Montreal steak seasoning. Smoked using lump coals and mesquite chunks. 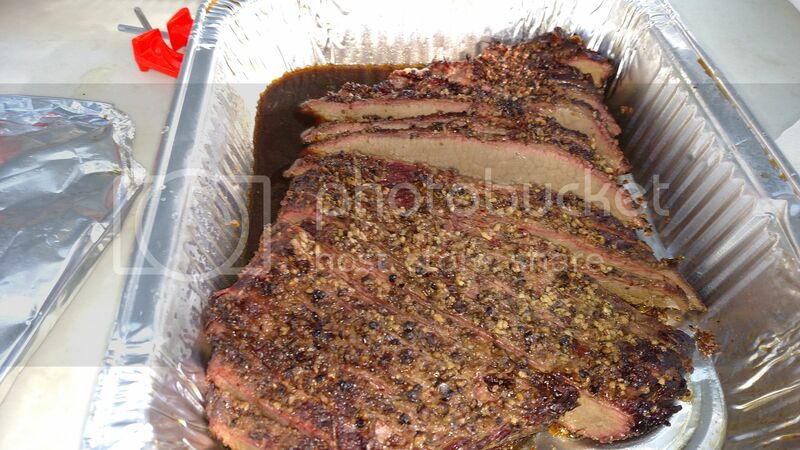 Cooked on drum hot and fast, 275 degrees until thermapen entered meat with ease, about 5 1/2 hours. Thanks for looking and hope everyone had a Happy Labor Day!!! 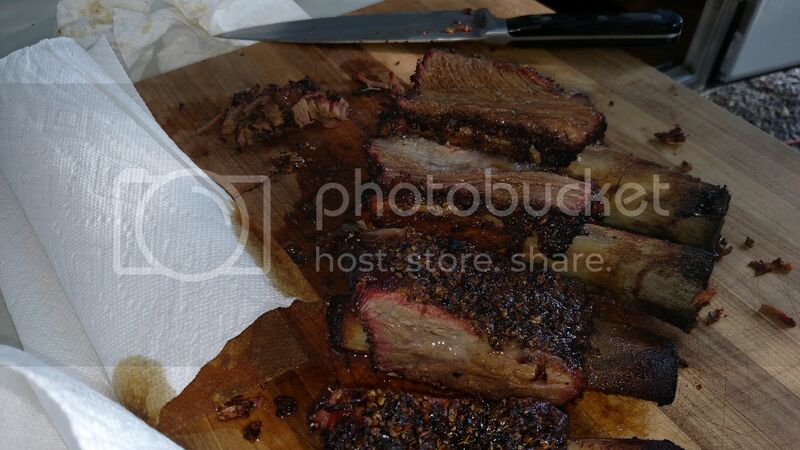 Oh yeah,,, those beef ribs look great!! !